by Rosemarie Elsa Bayne, Creator and Founder, Romy Beauty. Romy was born out of a dream, a passion and a desire to keep the world free from harmful substances and awful “smells”. This dream started when Rosemarie was a young girl living in the suburbs in Sydney, Australia. She could always pick up on scents and could work out the jobs people had by the smell on their hands; butcher, mechanic, baker, fish and chip shop owner or hairdresser. Distinguishing these smells was a fascination for Rosemarie and that sense of smell has never left her. As a young girl she would explore the bush (Australian for forest) behind her family home, and would pick flowers, plants, seedpods and anything that had an earthy smell. Coming from a German background, her garden was full of flowers. I was always in trouble for taking off the heads off the roses, my mum’s ‘beautiful roses’; I shudder when I remember of the trouble I was always in. The petals would be placed into my own solution, and I made rose water in many different colours. Always the envy of my school friends. Around this age I was told that vinegar and eggs would make ‘egg shampoo’. That it was good for my hair, so I experimented. I figured if eggs were so good for hair why put all that stuff into it. The whole eggs were a disaster but the yoke did the job. Quite a few years passed before Rosemarie’s first opportunity to further her passion came. Asked to start and set-up the Australian operation of a global hotel amenities business, she began her first steps in learning about the design and manufacture of the body care products. For more than 25 years she spearheaded innovation in the industry introducing affordable and safe products to a self-regulated industry. It was during these years that Rosemarie learnt the skills to build a concept from the ground up, using some of the best perfumers, chemists and packaging experts to create unique product lines for hotels, airlines and private hospitals. Out of this experience came a the simple idea, marrying the popular household Australian ‘wonder’ oil from the native eucalypt tree, with the scent and extract of lemon grass, popular at that time only amongst seasoned spa aficionados familiar with the industry emerging in South East Asia, particularly Thailand. 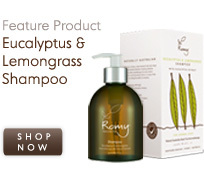 Romy ‘Eucalyptus & Lemongrass’ as it was first known, was born. Much of the inspiration behind Rosemarie’s creations come from the lifestyle of Northern Beaches of Sydney, Australia, where she has lived for more than 30 years. Well known for its pristine coastline, crystal clear waters, abundant flora and fauna, and a mode of living and lifestyle that is one with environment. The Northern Beaches embodies people’s notions of a healthy life, in a place of natural beauty. ROMY is the culmination of Rosemarie’s passion to create a body care range that is of the highest quality, good for people and the environment and one that reflects the natural lifestyle of her home Australia. Why is ROMY different from other natural products? ROMY’s ingredients are of the highest quality. 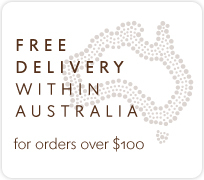 They are sourced from the best suppliers in Australia, Europe and around the world. They also contain high concentrations of the good extracts, vitamins, butters and oils. A cut above the rest, the customer will only know this once they have tried the ROMY product. Immediately it is apparent by the texture and the smell that products are different, better. ‘The taste of the pudding is in the eating'; once used the true quality of ROMY products is revealed. Naturally Free. All ingredients derived from natural materials. 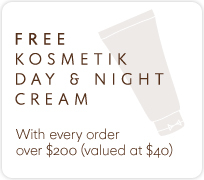 Made with key ingredients, uniquely Australian, and balanced with complementary ingredients from around the world. These attributes contribute to an excellent product that smells better, feels better on the body and is not harmful to people and the environment. Romy products contain none of the harsh chemicals commonly used in bath and body care products. All of our ingredients are sustainable and plant-derived. Many bath and body care products, even reputable and famous brands contain these chemicals that makes them inexpensive to make, and potentially toxic for people’s health. In a world where we are increasingly exposed to chemicals, in the air, in the water, in our food and in the products we buy, people are taking steps to limit this toxic build up of chemicals in our bodies. A move in the right direction is by using natural hair and body care products. Here are some of the things to avoid, none of which are found in Romy products. Parabens are chemical preservatives that extend the shelf life of products. In sensitive or young skin parabens may cause skin irritations and even contact dermatitis. They are suspected to cause disruption to the endocrine system and may interfere with male reproductive functions. Petrochemicals, including mineral oil (or baby oil), are a by-product of making petroleum. Petrolatum, paraffin or paraffin oil and propylene glycol are other common cosmetic forms of mineral oil, and are known toxins. They have the potential to dissolve the skin's own natural oil and thereby increase dehydration. Formaldehyde or DMDM Hydantoin is used as a preservative in hair and body care products and can cause contact dermatitis and skin irritation. Formaldehyde is classified as a probable human carcinogen as well as causing immune-system toxicity and respiratory irritation. The Eucalyptus and Lemongrass range developed a cult following both locally and internationally. Manufactured locally, and sold directly to an emerging international client base (2004-6), the range was expanded (2006-8). Romy entered the Hong Kong market through major retailers A.S. Watson (Watsons the Chemist) the largest pharmacy chain in the world. It is the company vision to continue in our quest to make ROMY readily available throughout Australia and the world.